The Janitorial Services Program specializes in quality and efficiency. Our program has provided employment opportunities for people with developmental disabilities and has been a leader in commercial cleaning in the Capital Region for over 40 years through Federal, State and private contracts. 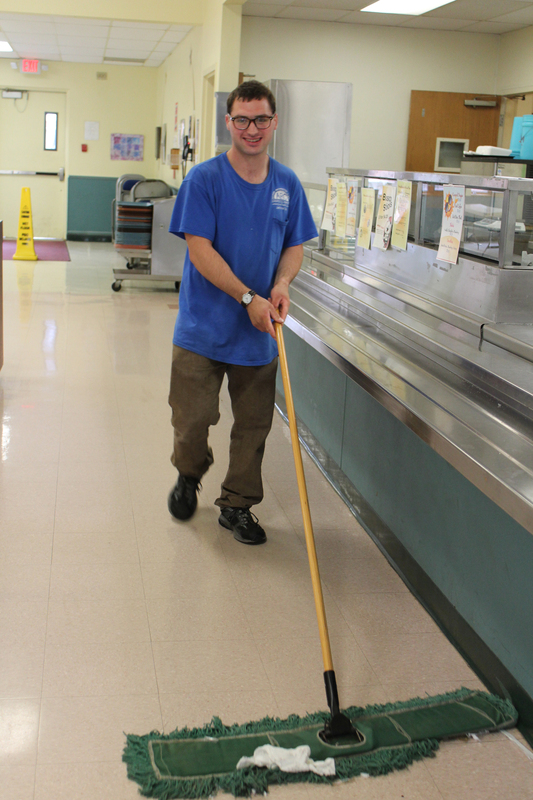 Currently, an integrated workforce of individuals with developmental disabilities is responsible for cleaning more than 3,000,000 square feet of space per day. Our program provides adults with the opportunity to be trained in all areas of janitorial work including office cleaning, tile floor care, carpet cleaning, restroom cleaning, lawn maintenance, etc. Throughout the program, specific janitorial tasks are emphasized, quality assurance is a central focus and all skills required to successfully work and maintain employment in the community are addressed.